What Do You Know About Public Housing in the U.S.? Help Us Investigate. ProPublica is teaming up with The Southern Illinoisan to examine the public housing crisis in small and mid-sized cities around the country. Volumes have been written about the broken promise of safe public housing for low-income families living in large urban centers. But the deterioration of affordable housing is a crisis that affects some small towns and mid-sized cities, too. And not enough people are talking about it. ProPublica and The Southern Illinoisan are teaming up to examine failures by the U.S. Department of Housing and Urban Development, or HUD, to ensure that federal dollars are paying for housing that is safe, decent and sanitary, as the law requires. We’re investigating this issue in small and medium-sized cities, which have fewer resources than larger urban areas to combat aging, crumbling facilities. 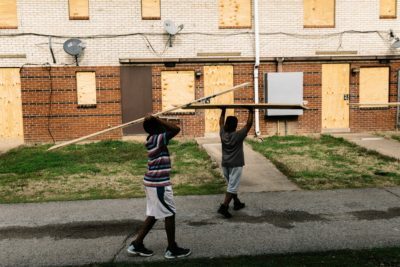 In April, we reported on HUD’s decision to relocate about 400 people from neglected housing complexes in Cairo, Illinois, after years of oversight failures threw residents’ lives into chaos. 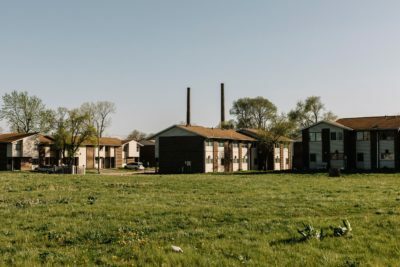 We’ve published an investigation exploring how deteriorating housing is threatening the health and security of thousands of public housing residents in the southern Illinois community of East St. Louis. HUD ended its 32-year federal receivership there last September. We’re looking to hear from more people about the living conditions at HUD-funded housing. We want to hear whether public housing failures have led to resident suffering, particularly in small- or mid-sized cities where resources are pinched. We want to know how safe the housing has been, and how HUD-funded housing officials responded when residents asked for help. We want to hear stories from advocates and officials, too, who can lend their insight into the HUD-funded housing system. Fill out the questionnaire to share your stories. Beena Raghavendran is the engagement reporter for ProPublica’s Local Reporting Network.